William F. "Bill" Huff, age 72, of Sandusky, died peacefully, Tuesday morning, Sept 25, 2018, in Stein Hospice Care Center, Sandusky. He was born November 11, 1945, in Fostoria, and graduated from Eastwood High School in 1963. He proudly served in the U. S. Marine Corp during the Vietnam War and was a member of the VFW. Bill was a truck driver for over 50 years; where he earned many safety awards over that time. He was an avid Cleveland Indians fan, loved to golf, and was a boys baseball coach for many years. 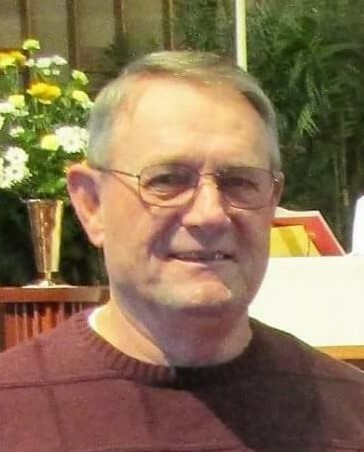 He is survived by his loving wife of 52 years, Lois (Spring) Huff; two daughters Connie (Matthew) Gorrell, and Janice (Gordon) Glenn; son William W. Huff; five grandchildren; three great grandchildren; four sisters Cindy (Donnie) Bowers, Sandy (Chuck) Paseka, Nancy (Gary) Weilnau, and Donna Scherf; three brothers John (Linda) Huff, David Huff, and Albert (Linda) Oeder; and many nieces and nephews. Bill was preceded in death by his parents Robert J. and Catherine (Rolf) Huff; and two brothers Dale Huff and Ned Oeder. Friends may call from 5-8 PM Thursday, September 27, 2018, at Ransom Funeral & Cremation Service, 610 S. Washington St. Castalia, OH 44824, where services will be held on Friday, September 28, 2018, at 11:00 AM. Burial will be in Meadow Green Memorial Park, Huron. Online condolences and gifts of sympathy may be shared with the family by visiting www.ransomfuneralhome.com.